Luigi Galvani’s experiments testing frog legs to see whether electricity was responsible for muscle contractions was easily reproduced by scientists for decades after his initial experiments. This reliable reproducibility allowed other scientists including Allesandro Volta to derive their own hypotheses behind what was causing the muscle contractions. While the theoretical framework to explain the contractions had not been developed, the results of the experiments sparked the development of electrophysiology and contributed to the development of the battery by Volta. In recent decades within the biomedical field there is a solid theoretical framework for the development of experiments, however those experiments have low rates of reproducibility. This is causing economic damage by increasing rates of failure in drug trials in later stages. Scientific progress relies on discarding failed hypotheses and the development of experiments that allow for reproducibility by others to confirm or deny hypotheses. Modern science can still learn from the competition and mistrust betweeen Volta and Galvani. In the late 18th century Luigi Galvani began experimenting with frog legs. His methods included using the lower half of a frog which had been severed from the body and had exposed nerves. He explored the effects of electricity on muscle movement within the legs. Initially he experimented with external sources of electricity such as Leyden Jars. Electricity induced contractions in the leg muscles of the frogs. He then experimented with atmospheric causes of electricity and found this had little effect. He concluded that the muscle had some sort of intrinsic electricity within it . A scientific contemporary of Galvani, Allesandro Volta, contested Galvani’s explanation that the muscle contractions were due to intrinsic electricity and were instead caused by the metals used in connecting the nerve to the muscle, and that the muscle was simply reacting to the electricity in the metals. Both Volta and Galvani ended up pursuing further experiments in animal electricity to support their own theories . Galvani ended up producing a contraction by connecting the two nerves from each leg together . Volta countered that he could produce electricity by mixing silver and zinc, and that metals were responsible for the contractions, eventually developing the electric battery . Out of Galvani’s experiments came two major breakthroughs: The eventual development of the field of electrophysiology and Volta’s development of the battery . Galvani’s method was simple enough to be reproduced by other scientists. Eusebio Valli could reproduce Galvani’s experiments with the same results as could others . The lack of acceptance of Galvani’s hypothesis of animal electricity was due to Volta’s success with the electric battery and a lack of theoretical framework that could explain the results. In recent decades, the inability to replicate results has begun to plague the biomedical field, particularly within preclinical research . The ability to attain “robust, reproducible results” is essential to directing the direction of further research [4, 5]. Often the original researcher of a published finding is themselves unable to attain the same results . This has been attributed to a desire for “flashy results” that “ignore the lack of scientific rigor” . It is necessary for scientific results to be efficient and if the majority of preclinical research is not reproducible, the results are inefficient . Galvani’s methods produced reproducible results that allowed science to progress without a strong theoretical framework. Today there is a strong theoretical foundation for which biomedical research is done, but the experimental framework is failing in developing effective and efficient methods for developing experiments which allow for reproducible results. As reported by Begley and Ellis in Nature, clinical trials in onocology have the highest rate of failure when compared to other areas . They attribute the high failure rate not only to the difficulty treating cancer but also to the “quality of published preclinical data”. The effectiveness of drug development relies heavliy on the availiable literature . The problem is that the results of preclinical studies are be taken at face value, and this causes problems later in clincal trials. Amgen studied fifty-three papers that were considered “landmark” studies and found that in only 11% of the cases were the results scientifically confirmed [4, 5]. This has a negative economic as well as a scientific impact. When preclincal studies are used for drug development and there is less than a 50% reproduciblity rate, clinical trials fail [3–5]. This has led to an overall decrease in the rate of success for Phase II clinical trials from 28% to 18% in the years 2008–2010 . Contrast this with Galvani’s work. Volta was able to replicate Galvani’s expirment and by doing so was able to develop hypotheses that enabled him to eventually develop the battery [1, 2, 6]. If Volta had been forced to question Galvani’s methods due to inability to dervive the same result, he would have discarded the Galvani’s expirments, and Volta might not have began exploring the electric relationship between zinc and silver that lead to his development of the battery . Galvani himself was able to further his expirements because of the consistency of his work which eventually led him to fairly accurate conclusions with regards to the conduction of electricity within animals [1, 2, 6]. He was able to develop a hypothesis that the electricity was conducted by means of a watery interior with an oil exterior which was shockingly close to the model developed by Hodgkin-Huxley . If Galvani’s expirement had not produced consistent results it would have not been taken seriosly by himself or his contemporaries. These consistent results allowed Volta to develop an end product in the electric battery that ended up having signifcant economical value and Galvani to suggest there was an “intrinsic” electricity in animal. Biomedical research is in part driven by the ability to produce tangible economic results. As failure rates of clinical trials increase, the research community could learn some lessons from the distant past in the form of Galvani and Volta competition and practices. There was a fundamental mistrust between Galvani and Volta which caused Volta to check Galvani’s expiriments and Galvani’s theory of animal electricity. Begley and Ioannidis reached a conclusion that “science operates under the trust me model that is no longer considered appropriate in corporate life nor in government” . They state that endorsing the current state of research that is “producing results the majority of which cannot be substantiated” would be erronous. To rectify this, they suggest “rethink[ing] methods and standardization of research practices” so that the focus would not promote the pursuit of studies that might have flash and gain headlines but little substance for further research and economic benefit . The research community would benefit from standards and practices that produced results that could be readily verified by others. This would encourage others to use the solid foundation built upon reliable data for developing further hyprotheses. From Galvani and Volta’s competion two thing can be learned that are applicable to today’s environment. The first is that a solid methodology rooted in reproducible results will spark further expirementation that will have solid results. The second is that a lack of trust among scientists has the benefit of sparking competition to develop solid expiriments to proove one’s own hypotheses. The reproducibility of Galvani’s research contributed to the development of electrophysiology and the development of the battery by Volta. The point of contention between Galvani and Volta was not whether Galvani’s methodology was sound, since Volta could achieve the same results. Their problem was a lack of a sound theoretical framework to interpret the results and a fundamental healthy mistrust between them. Due to Galvani’s sound methods and reproducible results, science could develop further because the hypotheses the results created needed further experimentation and testing, eventually leading Volta to develop the battery to defend his hypothesis and Galvani’s experiment connecting the nerves of the two frog legs to defend his. The biomedical field could benefit from a shift in thinking. Rather than releasing methods that produce results researchers cannot even reproduce in their own labs, science would benefit from a reduction in releasing results that might cause sensation in the public and make sense within the theoretical framework, but do not produce the same results twice. The scientific community would benefit in the same way that it did when Galvani and Volta were competing to explain their own theories. If the methods are sound and reproducible, other researchers will have the opportunity to challenge the originator’s hypothesis and put forth their own hypothesis to explain the results. This would not slow down progress but rather help along the development of the theoretical framework by making sure that other researcher’s claims have been properly validated. 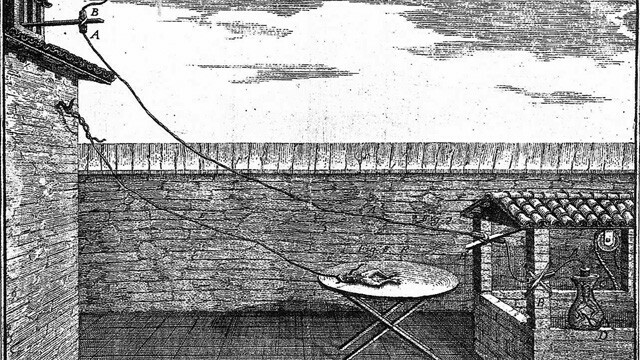 Piccolino M. Luigi Galvani and animal electricity: two centuries after the foundation of electrophysiology. Trends in neurosciences. 1997;20:443–8. Piccolino M. Animal electricity and the birth of electrophysiology: the legacy of Luigi Galvani. Brain Research Bulletin. 1998;46:381–407. Prinz F, Schlange T, Asadullah K. Believe it or not: how much can we rely on published data on potential drug targets? Nat Rev Drug Discov. 2011;10:712-. Begley CG, Ioannidis JPA. Reproducibility in Science. Improving the Standard for Basic and Preclinical Research. 2015;116:116–26. Begley CG, Ellis LM. Drug development: Raise standards for preclinical cancer research. Nature. 2012;483:531–3. Piccolino M. Luigi Galvani’s path to animal electricity. Comptes rendus biologies. 2006;329:303–18.